With over one billion active users, Facebook is the world’s largest social network by quite a margin. But while the Menlo Park-based company has spent quite a lot of time implementing features like Facebook Home and system-wide Chat Heads to Google’s Android, the restrictive nature of iOS has meant that Facebooking on an iPhone or iPad remains a squarely in-app affair. 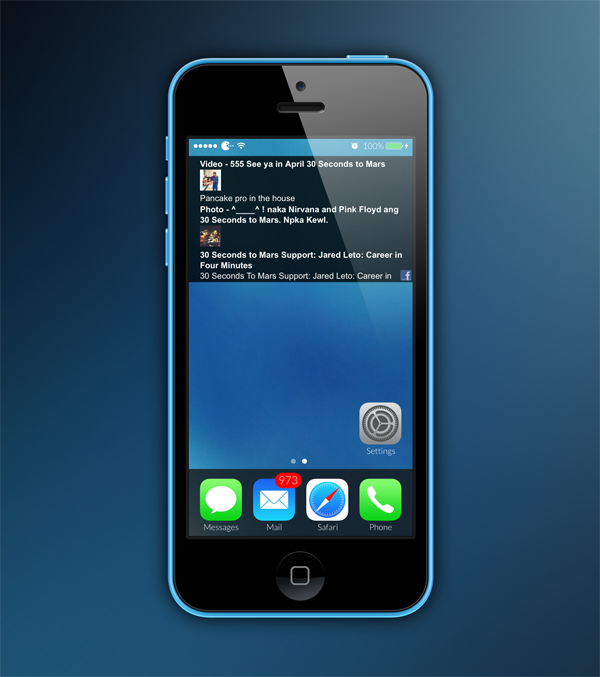 Thanks to the jailbreak scene, though, iOS users can enjoy a much more integrated experience when using Facebook, and a new tweak, which brings a neat RSS feed of your Wall right to your iOS home screen, has just been released via Cydia. Check it out after the break! In an age where the likes of Facebook and Twitter are becoming our primary sources of news and general Web content, the RSS feed is slowly becoming a dying art form. 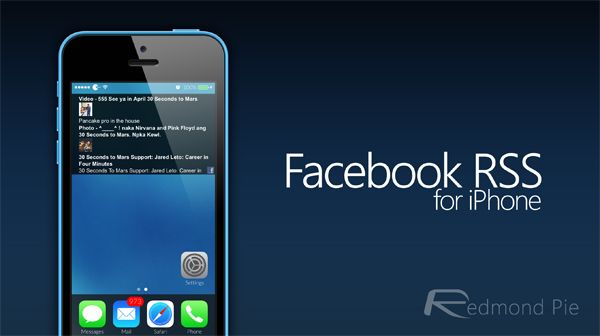 But this particular widget – aptly entitled Facebook RSS – uses the RSS feed link to bring your Facebook wall to your iDevice. You can customize the widget as well, although you will need an SSH utility for this purpose. As ever, we highly recommend purchasing iFile for a one-off fee, and it will take care of your SSH needs from now until the end of time. The widget itself looks great, is nice and clean, and isn’t too obtrusive. 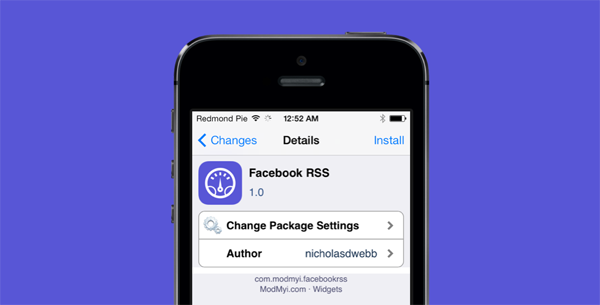 If you’re looking for a way to keep tabs on your Facebook Wall activity without having to fire up the app every ten seconds, then the Facebook RSS widget is one you’ll be wanting to try. Hence it’s safe to say that it’s a widget made with a diehard Facebook user in mind. It doesn’t cost anything at all to download and is absolutely free, and can be found over at the ModMyi repository, which is a default source within Cydia. Download it from Cydia, give it a blast, and be sure to leave your thoughts and comments via the usual mediums below!